Red Swing Project, an intervention started by a group of architecture students in Austin. The original red swing was made for $2 with a single piece of wood and retired rock climbing rope. 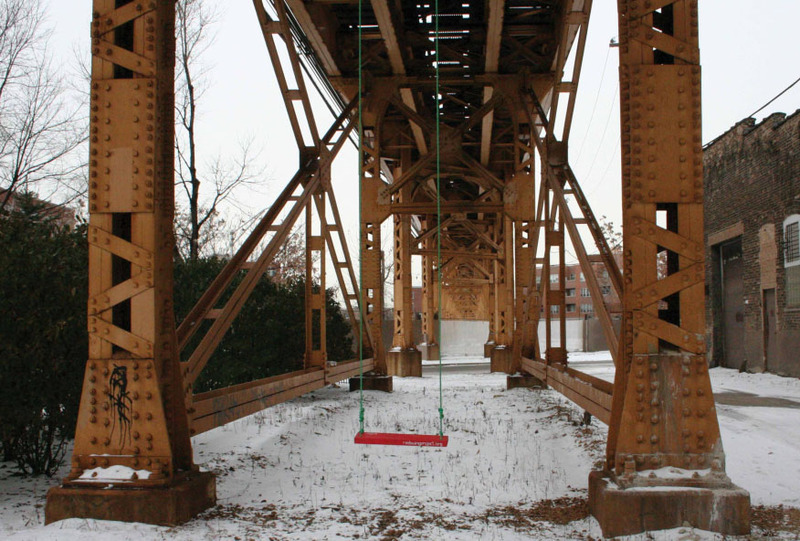 Since, nearly 200 red swings have appeared around the globe, from Haiti to Poland, India to Brazil, on vacant lots, under highway overpasses, turning undervalued spaces into playgrounds and passersby into playmates. 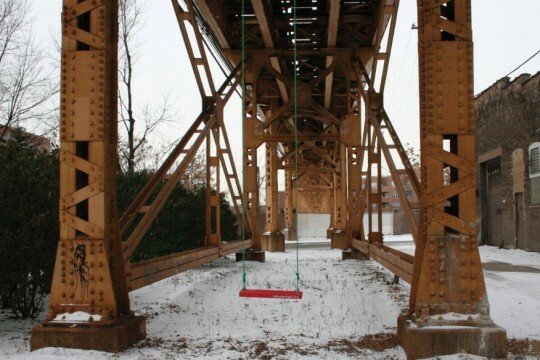 Open- source and replicable, the Red Swing Project website offers easy instructions on how to make and install the swings, urging people to take control of their environments.